A FRENCH JUDGE has ordered four men to stand trial over a 2013 scandal in which horsemeat was passed off as beef and used in ready-to-eat meals sold across Europe, sources close to the case told AFP. Two former managers at Spanghero, the French company at the heart of the scandal, and two Dutch middlemen were charged with “organised fraud” after a three-year inquiry. The scandal erupted in January 2013 after horse DNA was found in beef burgers in Britain and Ireland. French investigators charged Spanghero with knowingly selling 750 tonnes of horsemeat mislabelled as beef in several countries over a period of six months. The four men facing trial are accused of selling 500 tonnes to a subsidiary of Comigel, a French company whose frozen meals were sold to 28 different companies in 13 European countries. 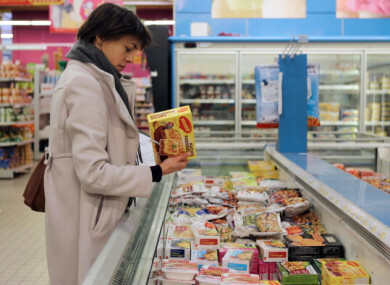 Supermarkets across the continent pulled millions of suspect food products like canned goulash and lasagna bolognese from their shelves, deepening wariness among many consumers about how their food is made. Email “Four men to stand trial in France after horse DNA found in beef burgers in Ireland in 2013”. Feedback on “Four men to stand trial in France after horse DNA found in beef burgers in Ireland in 2013”.